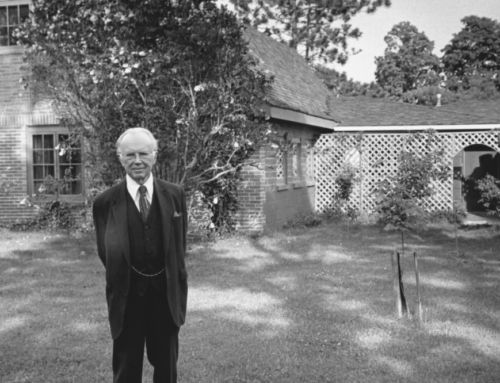 In the book before us, James E. Person, Jr. has sought “to craft a critical primer” on the thought of Russell Kirk—a man whose 50 years of professional life yielded 32 books, 800 essays and reviews, 3,000 newspaper columns, two journals of his own creation, and extensive correspondence. It would be a daunting task for anyone to undertake, although Person previously has edited a Festschrift in Kirk’s honor and remains in contact with Kirk’s family. 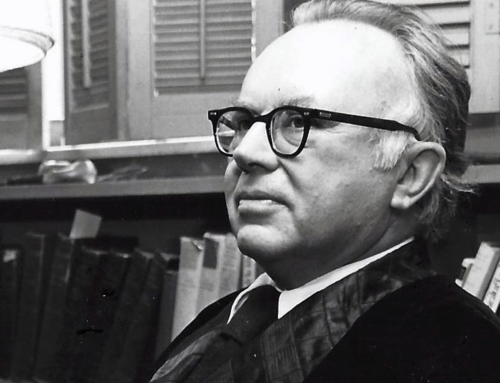 Those experiences help make Russell Kirk: A Critical Biography of a Conservative Mind a timely work. Organized thematically, the biography’s chapters successively address the Kirk’s ideas on politics, history, education, law, literature, and economics. Person considers every major work by Kirk, summarizing the principle ideas and recounting how each was received by reviewers. What the biography may lack in critical distance is compensated for by insight into the real life characters and events that influenced Kirk’s work. This is especially evident in Person’s close reading of Kirk’s fiction and short stories, to which two fine chapters are devoted. The result is a highly sympathetic account of Kirk’s work, one derivative in both substance and spirit from its subject. Not only does Person make ample use of block quotations from his subject’s writing, but his own prose often reflects a certain Kirkian diction. In other places, Person acknowledges his indebtedness to fellow commentators on Kirk. Indeed, in at least two instances— quotes by Jeffrey Hart and Wilfred McClay—Person’s text inexplicably repeats the same quotations (in the former case, the repeated passages occur within six pages of one another). Consistent with the aims of the book, Person’s portrait of Kirk does not deviate from that which the self-fashioned “man of letters” himself offered in autobiographical reflections, most prominently the Sword of Imagination memoir. There are respectful treatments of Kirk’s sustained disagreement with Frank Meyer’s preference for Kantian self-actualization, his dissent from William F. Buckley Jr.’s views on academic freedom, his skepticism about the democratic capitalism espoused by neoconservatives, and his sometimes heated disputes with Straussians over the historical significance of the Declaration of Independence. Person contends that Kirk’s vision is marked by a philosophical unity that stands in contrast to the political disorder of his age. The same man who cast his first presidential ballot for the pacifist Norman Thomas indeed ended his career by opposing the Gulf War. Although Kirk eschewed systematic thinking, the unity of his vision sprung from a serene temperament that was firmly grounded in middle American consciousness. Graduate studies took him first to Duke University and then to St. Andrews in Scotland, and later travels encompassed shores even farther afield, but he elected at a young age to make his home at the ancestral family seat in Mecosta, Michigan. The geographical trajectory of most conservative activists is in a different direction, toward Washington, D.C. For Kirk, however, localism was not just a principle to be trotted out when required by the latest batch of public opinion numbers. At the heart of Kirkian piety is a historical consciousness, rooted in a sense of place and chastened by labor and suffering, that locates our own struggle within a larger tradition of human pilgrimage. “He had no interest at all in tolerating extremists of the left or the right, nor did he march in lockstep with other conservatives on the issues of the day,” Person notes. Most of Kirk’s positions were firmly in the mainstream of conservative thought (perhaps because he helped shape its content), but the idiosyncrasies of his personality often confounded even fellow conservatives. R. Emmett Tyrrell once dismissively described Kirk as “mildewed,” while Lew Rockwell has charged that Kirk’s Anglophilia reduced conservatism to a mere affectation and gesture. More than a little Socratic irony often flavors Kirk’s writing, but such irony is no flight from responsibility. Instead, Kirk’s detached commentary should be understood as the expression of a measured intellect that perceives history as timeless and truth as eternal, yet man’s foibles as recurrent. In The Conservative Mind, Kirk identified a common spirit in figures as seemingly disparate as John Adams and John C. Calhoun, Edmund Burke and Thomas Macaulay, James Fenimore Cooper and T.S. Eliot. Here was a syncretic account of the Anglo-American conservative tradition conceived and written with mythopoetical genius. Person rightly draws attention to David Frum’s observation that “Russell Kirk inspired the postwar conservative movement by pulling together a series of only partially related ideas and events into a coherent narrative.” Ever a Romantic, Kirk recognized the necessity of endowing conservatism with a philosophic genealogy. His preference for tradition caused him to oppose doctrinal formulations of conservatism that privileged abstract reasoning at the expense of experience. He understood that affection and piety dwell in the heart, even whilst life is dynamic and change is inevitable. As with Burke, Kirk was a kind of moderate Whig who saw nothing unnatural or tragic in the political tension between liberty and order, even if both men happened to live in periods when libertinism and disorder enjoyed the upper hand. Person also records the objection that the critic John Crowe Ransom leveled against The Conservative Mind: that Kirk’s reverence for tradition was so capacious as to incorporate nearly any innovation, once it has been around for a while, into its grand narrative. By way of response, Person contrasts Kirk’s aesthetic disdain for automobiles (which he never learned to drive but nevertheless utilized) with his unyielding moral opposition to abortion. Kirk was fond of Burke’s admonition about change being a society’s means of preservation. 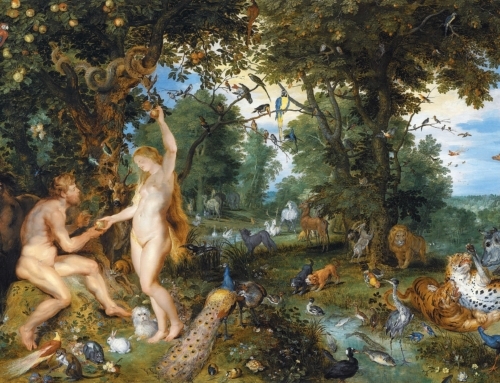 And he admired the prudence embodied in common law’s evolutionary development. Yet he also revered natural law and acknowledged the impossibility of reconciling some changes with it. He mediated between these competing considerations with a value-centered historicism (to borrow Claes Ryn’s phrase) that esteemed tradition but loved truth even more. Although Person enjoyed access to the Kirk family, he opted in this book to focus on Russell Kirk’s ideas and public influence. 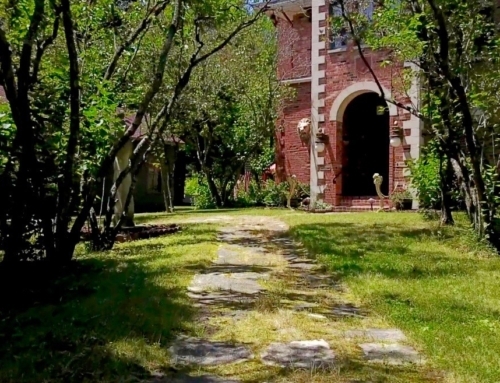 Few details about Kirk’s family or friends are included, and the merit of his historical interpretation and literary criticism remain to be objectively assessed in a future work. Readers will find in Russell Kirk: A Critical Biography of a Conservative Mind a cogent introduction to its subject, and the annotated bibliography included in the book will be useful in directing them to further sources. Kirk often recalled Cato’s preference that he should rather have posterity “ask why my statue is not set up, than why it is.” Thanks to James E. Person, Jr., we no longer have to explain the absence of a worthy biography of Russell Kirk. Books mentioned in this essay may be found in The Imaginative Conservative Bookstore. Reprinted with the gracious permission of The Intercollegiate Review, Fall/Spring 2000-01. Morgan N. Knull, a member of the National Book Critics Circle, holds degrees from Wabash College and St. John’s College, Annapolis. He was a graduate student in political philosophy at Louisiana State University when this was first published. Love the picture of him typing in a suit. However, he is clearly more progressive than I thought, as the typewriter appears to be electric!